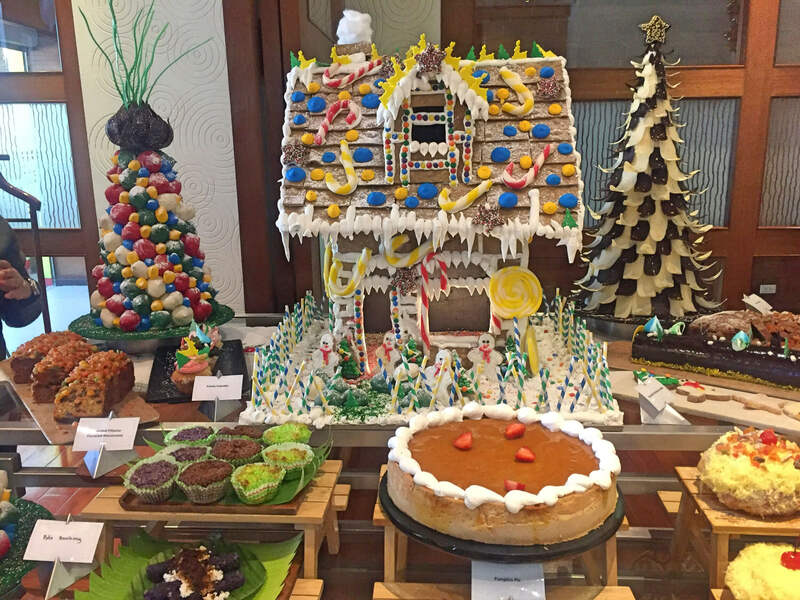 Marco Polo Plaza Cebu unveiled in a special preview its Festive Buffet set for the Christmas season, and it is another level of delicious. Available from December 16-23 and 26-30, 2017 at Cafe Marco, the grand feast will include such holiday treats as prime beef, roast turkey, sugar glazed ham, English fruitcake, ensaymada, bibingka, pumpkin pie, black forest Christmas log, and assorted cookies. Also in the menu are traditional Filipino fares like puto bumbong, macaroni salad, chicken relleno, and Filipino macaroons. MyCebu.ph was among a group of media and bloggers invited to try out the Festive Buffet in a special preview of the culinary offering last December 5 at Cafe Marco. The holiday season dishes included in the Festive Buffet are on top of Cafe Marco’s international spread. Buffet rates start from P1,250 net per person during lunch and P1,540 net per person at dinner. During the special preview, Marco Polo Plaza sous chef Luigi Mangubat showed how to properly carve up a roast turkey. He said that turkey has both red and white meat. Red meat makes up the thigh and leg part while white meat can be found in the breast area. Cafe Marco’s roast turkey comes with a special cranberry sauce and you can have it at home, too. Manna Alcaraz, Marco Polo Plaza Cebu Communications Manager, said they now accept orders for USDA roast beef, roast turkey, pineapple glazed ham, and chicken relleno. Why not complete your festive table at home with Marco Polo’s classic take on some of these holiday favorites? Orders require a lead time of two days. For bookings and reservations, email [email protected] or call (032) 253-1111 local 8429. Marco Polo Plaza sous chef Luigi Mangubat shows how to properly carve up a roast turkey. CHRISTMAS SPREAD. Marco Polo Plaza Cebu’s Festive Buffet set for the Christmas season is available from December 16-23 and 26-30 at Cafe Marco.